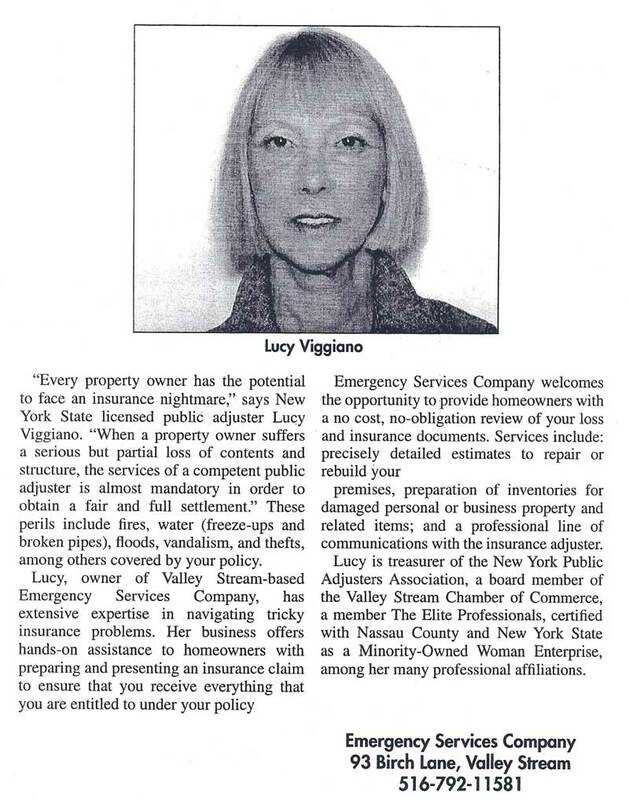 Lucy and her company, Emergency Services Company, were featured in a recent article in the Valley Stream Herald. The feature was a great piece detailing her many services and the value of her position as a public adjuster in the Valley Stream NY area. Read the full article below.